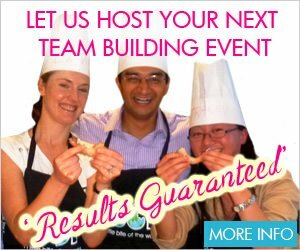 Browse the great range of Sydney cooking classes that we run. Search all available upcoming classes through our Class Schedule. Discover the beauty of the African and French influences in Cajun and Creole cooking. Enjoy a taste of New Orleans as you learn about Cajun and Creole flavours in this class. Learn how to make gumbo, jambalaya and more! Discover the beauty of the combinations of African and French influences in this regional cuisine, singing along to the music it’s so famous for! The regional cooking of the USA is amazing. Cook seafood perfectly on the barbecue with an Asian flair. Beat the heat of summer with cool Asian dishes. Singapore Chilli Crab cooked to perfection. For fast, easy, nutritious meals – use your noodle(s)! Even if you can’t boil an egg, you are assured of success! Learn some hot new recipes as you learn where the hot spots are on the BBQ. “Manning up” to the barbie is always fun, but do you have the right technique? Learn a variety of BBQ techniques that help you put out the most delicious food in a timely manner with room to spare. No more overcooked meat, just the key knowledge and skills so you can work your magic at the BBQ. Learn some hot new recipes as you learn where the hot spots are on the BBQ and how to use them to your advantage. Think lamb blackstrap with Argentinean chimichurri, bbq pork ribs with chipotle barbecue sauce, even bbq veggies and more! With beer or wine in hand you can be the best BBQ chef in no time flat! Amazing seafood hot off the bbq, cooked to perfection. Tune up the barbie and brush up on seasonal favourites. Turn your favourite summer pastime into an art with fast, delicious recipes. Delicious canapés that are so easy to prepare you’ll have time to deck the halls. Discover the joys of chocolate making. Cooking duck is simpler than you think. All the tips and recipes for fast and simple but memorable meals. Experience the warm winter flavours of France. Experience the warm autumn flavours of France. These recipes are treasures from the Greek Islands. Simple and delicious dishes sure to impress. The bold colours of India are magical in its environment and delicious in its food. Imagine yourself wandering the streets of New Delhi as flames lick the clay pots of the food stalls and singe the night air, filling it with enticing aromas begging you to taste… Welcome to our new Street Food series, taking you on a culinary journey to the hawker stalls of far off lands from our Danks St kitchen. The bold colours of India are magical in its environment and delicious in its food. They are a feast for the eyes! Our food journey takes you to the streets for the best samosas, sambar, tamatar kasundi, chicken tikka and more! Come be Italian for a day and share my mother’s secret recipes. Discover the lusciousness of Lebanese! Draw out the passion for spice in your life. Come on a journey to discover the soul food of Nonya cooking. Laksa is a hugely popular dish with many variations. Come with Victor and chef Wanitha Tanasingam on a journey to discover the soul food of Nonya (Chinese Malaysian) cuisine. Learn the 2 basic types of laksa and the 3 essential pastes that result from the marriage of Indian, Muslim and Chinese cultures. ‘Moreish’, mellow, nutty, fun & quick to cook. Experience the glow of spice infused amazing Malaysian cooking. The ultimate class on cooking meat! Light, fresh, modern Mexican cooking. The colourful and flavoursome foods of Mexico for parties or for the family. Food from “the place where the sun sets”. A sure fire hit for entertaining families and friends. You’ll be a regular at the fishmonger after this! Make your Valentine’s dinner a guaranteed success. You will be in great hands as you samba into the ‘best of South America’. Enjoy rich, fragrant and satisfying dishes. Learn Thai basics hands-on through her simple, everyday food. Imagine yourself wandering the streets of Bangkok as flames lick the woks of the food stalls and singe the night air, filling it with enticing aromas begging you to taste… Welcome to our new Street Food series, taking you on a culinary journey to the hawker stalls of far off lands from our Danks St kitchen. Thai food is addictive and delicious. Learn Thai basics hands-on through her simple, everyday food – satays, papaya salad, pad Thai and more – in this amazing class of Thai street food favourites, taught by Victor and Wanitha. As always, classes are suitable for novices as well as experienced cooks. You help make a number of recipes hands-on, with some demonstration, and an interactive part to each class where knife skills are taught as well as kitchen basics. Wanitha was steeped in Thai culture through her life, growing up in Penang, Malaysia, so close to Thai islands with a long history of cross-pollinating with the Malay. Her great love for and knowledge of Thai cooking was fed by her uncle, who was Head Chef for the Thai consulate where she spent hours in the kitchen and played as a “mini cook” since she could stand on her own. Create the Thai banquet of your dreams. Learn the 3 essential cooking pastes from Thailand to create sensational new dishes. The journey starts with you learning how to make red paste, green paste and blackened roasted chilli paste. You use these to make fantastic curries and stir fries. Learn Thai cooking basics and how to use the amazing array of spices to create the Thai banquet of your dreams. Victor’s passion for Thai food was nurtured by the renowned Thai celebrity Chef, McDang, who Victor has known since they were in their 20’s. Traveling in Thailand with McDang while filming for his television series, Victor learned the amazing experience that is authentic Thai cooking. Come share the passion! Explore the wonderful variety of seasonal vegetables.